Ellie Cooper, Thursday, 3rd September 2015 - It’s time to stock and develop better data in support of a more robust National Disability Insurance Scheme or the brunt of any failure will be borne by those who live with disability, writes Professor David Gilchrist from Curtin University. Ellie Cooper, Thursday, 3rd September 2015 - The Australian Women Donors Network is undertaking research amongst donors to help understand the attitudes and behaviours relating to the inclusion of women and girls amongst grant-making organisations in Australia. Ellie Cooper, Tuesday, 1st September 2015 - The philanthropist and businessman behind the creation of the National Portrait Gallery, Leonard Gordon Darling AC, has died in Melbourne aged 94. Ellie Cooper, Tuesday, 1st September 2015 - A peak body for Australian aid organisations has welcomed the release of a new Government strategy aimed at engaging the private sector in aid and development which it says coincides with its own research on partnering with business on “shared value” projects. Ellie Cooper, Tuesday, 1st September 2015 - The NSW Government has sold its Home Care Service to mutual provider, Australian Unity, in a move that is said to be the first of the new wave of public service mutual propositions. Ellie Cooper, Tuesday, 1st September 2015 - For the first time from today charities will be able to set up regular monthly SMS donations from their supporters. Ellie Cooper, Tuesday, 1st September 2015 - A charity set up in 2010 to change Australia’s relationship with alcohol has been awarded the $300,000 Macquarie 2015 Australian Social Innovation Award. Ellie Cooper, Tuesday, 1st September 2015 - As technology disrupts workplace giving, how important is it that its narrative evolves with it asks Lisa Grinham, Chief Executive Officer of Charities Aid Foundation. Ellie Cooper, Tuesday, 1st September 2015 - The abuse of people with disability remains seemingly invisible despite a Senate Inquiry into the issue and more must be done to expose it, writes the Chair of the Inquiry, Greens Senator Rachel Siewert. Ellie Cooper, Tuesday, 1st September 2015 - Applications are now open for the 2016 Observership Program which pairs young professionals as “observers” with the boards of a Not for Profit organisations for twelve months. 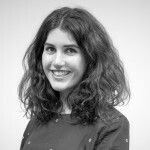 Ellie Cooper, Tuesday, 1st September 2015 - Strong demand for the NSW Office of Social Impact Investment Expert Advice Exchange (EAX) has now resulted in a second round of applications opening. Ellie Cooper, Tuesday, 1st September 2015 - A new Not for Profit national short story competition aimed at exploring hope and resilience in the face of poverty and disadvantage has been launched by the Brotherhood of St Laurence.